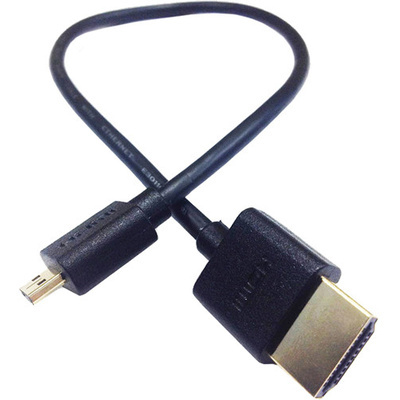 Product #18600 | SKU HM12 | 0.0 (no ratings yet) Thanks for your rating! The Paralinx Ultra Thin Micro HDMI Cable (12") features a micro HDMI connector on one end and full-size HDMI on the other. Only 3.8 mm thick, it weighs less and is easier to manage.